365 days of hockey in the Port City. 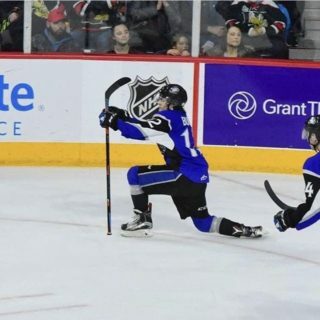 With 2019 officially here, let’s take a look back at the Saint John Sea Dogs Top 10 Moments of 2018. Recency bias may play a part in #10, but that doesn’t make it any less sweet. 35 points separated Saint John and Moncton in the standings but it was time for a fresh start in the first home game back from the Christmas break. Mikhail Denisov was an absolute phenom stopping 34 shots on the way to a 1-0 Sea Dogs win. Nicholas Deakin-Poot scored the lone Sea Dogs goal, his 7th of the season. Saint John would tie the league record for least amount of shots on goal for a winning team with 11. Stefan Legein’s name pops up in conversation frequently around this time of year, but not for his coaching. Legein played for Team Canada in the 2008 World Junior Ice Hockey Championships alongside current NHLers including P.K. Subban, John Tavares, Steven Stamkos, Drew Doughty and Brad Marchand on undoubtedly the most stacked Team Canada World Juniors roster of all time. After five seasons in the AHL and a short stint playing in Europe, Stefan transitioned into a career behind the bench. In the season prior to joining the Sea Dogs Legein coached with the Mississauga Steelheads of the OHL while also running skills camps in the Toronto area. He still works in the off-season with NHLers John Tavares, Taylor Hall, and Jason Spezza. Stefan has quickly become a crucial part in developing the skills of a young Sea Dogs team. Cajkovic dazzled in the pre-season finishing 3rd overall in league scoring with 9 points in 5 games. In 32 games of regular season play he leads the Sea Dogs with 22 points and has been selected to Sherwin-Williams CHL Top Prospects Game later this month. Sea Dogs fans will remember Charlie Coyle’s move from the NCAA to the QMJHL in late 2011 that bolstered an already strong lineup primed for a deep post-season run. Since then the Sea Dogs and most every other team in the QMJHL have had little to no luck having players report after committing to programs in the United States–until this summer. The Sea Dogs had a trio of players decommit from NCAA programs to play in Saint John starting with PEI native Charlie DesRoches at the QMJHL draft in June. The defenceman has since gone on to tally 13 points in 30 games in his rookie season. Chosen just before Charlie was New Brunswicker Josh Lawrence at #15 overall. Lawrence was seen as a risky choice at the time as he had long been committed to go the NCAA route. In the days following the draft it was announced Josh had signed with Saint John and would play in the 2018-19 season. More on his debut at #6. The day after the announcement of Lawrence decommiting, it was announced defenceman Michael Campoli would be reporting to the Sea Dogs for the 2018-19 season. Michael had played on the US National Development team before playing with Boston College of the NCAA. Campoli is now captain of the Sea Dogs and has posted 12 points in 30 games with the club. Sea Dogs fans waited with baited breath for New Brunswick native Josh Lawrence to make his Sea Dogs debut and demonstrate the skills he’d become famous for while playing in the United States. 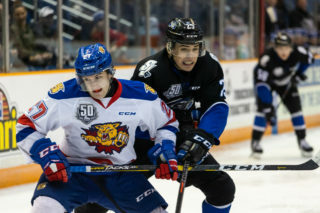 In the second game of the season against the Moncton Wildcats, Josh Lawrence exceeded expectations by scoring a hat trick to propel the Sea Dogs to a 5-4 win over Moncton. He received the Alpine 1st star as well as the Ultramar QMJHL Player of the Week award for his performance. 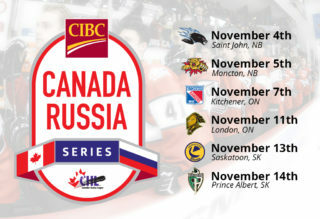 The city of Saint John played host to the World Under-17 Hockey Championship in early November and fans saw firsthand the potential of the world’s best young hockey players. The Sea Dogs were well represented on all three Canadian teams in the tournament, with the most players of any team in the CHL with four. Charlie DesRoches, Josh Lawrence, Jeremie Poirier and William Villeneuve were key players on their respective teams combining for 14 points. While Canada fell short of medaling, the excitement for the future was at an all time high. Although a win wasn’t in the cards against the eventual Memorial Cup Champion Acadie-Bathurst Titan on that March afternoon, Alex D’Orio put on the performance of a lifetime setting a Sea Dogs record with 60 saves. The Titan would go on to win the game 6-4 but fans in attendance knew that they were witnessing something incredible between the pipes. Things looked dire for the Sea Dogs as the month of November came to an end. Saint John was on a 17 game losing streak when the Val-d’Or Foreurs came to Harbour Station for the Sea Dogs annual Teddy Bear Toss Game. Robbie Burt played the hero that night scoring the teddy bear goal, the game tying goal, and the eventual game winner in overtime for his first ever career hat-trick. In May of 2018 the Sea Dogs announced the opening of the Saint John Sea Dogs Hall of Fame with the inaugural inductee being none other than Sea Dogs alumni Jonathan Huberdeau. In front of a sold out crowd at the Saint John Trade & Convention Centre, Jonathan Huberdeau was joined by fellow alumni Mike Thomas, Zack Phillips, and members of the 2017 President Cup Champion Sea Dogs including Thomas Chabot and Mathieu Joseph to become the first ever members of the Sea Dogs Hall of Fame. Hosted by Rogers Home Town Hockey co-host Tara Slone, the evening was attended by Jonathan’s family, fans, former staff, and Sea Dogs 2018 development camp members. Sea Dogs former Assistant Coach and Jonathan’s billet during his time in Saint John, Greg Leland gave a touching induction speech before Jonathan took the stage to cap off an unforgettable night. 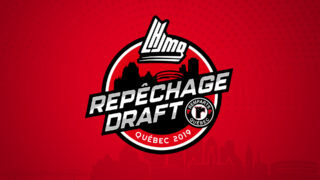 Drafting is the most crucial part of any team’s long term plan to win in the QMJHL. The Sea Dogs entered the 2018 QMJHL draft with several picks in the first two rounds including #2 and #8 overall. Expectations were high. The Sea Dogs were able to draft six of the top 30 CSR ranked players (20%) – the most of any team at this year’s draft. William Villeneuve, Jeremie Poirier, Josh Lawrence, Brady Burns, Charlies DesRoches and Dawson Stairs were among 17 players drafted to the Sea Dogs that day, and all six have logged major minutes with the club in their rookie campaigns. Villeneuve, Poirier and DesRoches have become staples of the Sea Dogs defence combining for 32 points. Josh Lawrence and Brady Burns are regularly centering the top two lines and have combined for 32 points through the first half of the year. Dawson Stairs recently left his school in the United States to join the Campbellton Tigers of the Maritime Junior Hockey League to be closer to Saint John and play more games as an affiliate player. With the Tigers he has four goals and six assists in just six games, all as a 16-year-old. 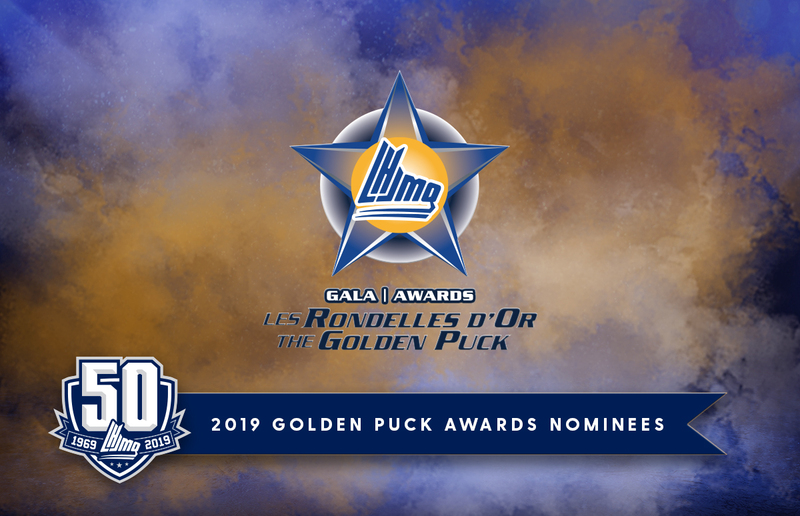 Other notable players from this year’s draft class include Mathias Savoie who has back-stopped the Moncton Flyers to a league leading 20-2-1-0 record with a 1.43 GAA and 0.938 save percentage. Charles-Antoine Dumont has 39 points in 30 games, good enough for 8th in league scoring in the LHMAAAQ. 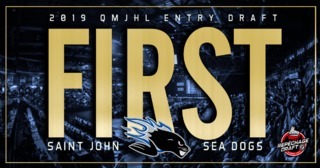 With so much talent and tangible results already, it’s easy to see why the 2018 QMJHL Entry Draft will play a big part in the future of the Saint John Sea Dogs.